I have been breeding Ragdolls now for many years and I never thought that my heart could belong to anything else other than a Ragdoll ………. 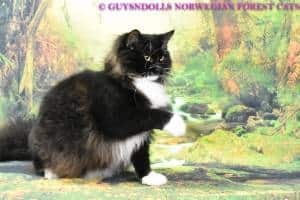 but I must say, that I am totally besotted with this breed, the ‘Norwegian Forest Cat’. I cannot believe how loving and infectious they are, how intelligent, fun and absolutely beautiful ……….. they are everything rolled into one beautiful elegant package.